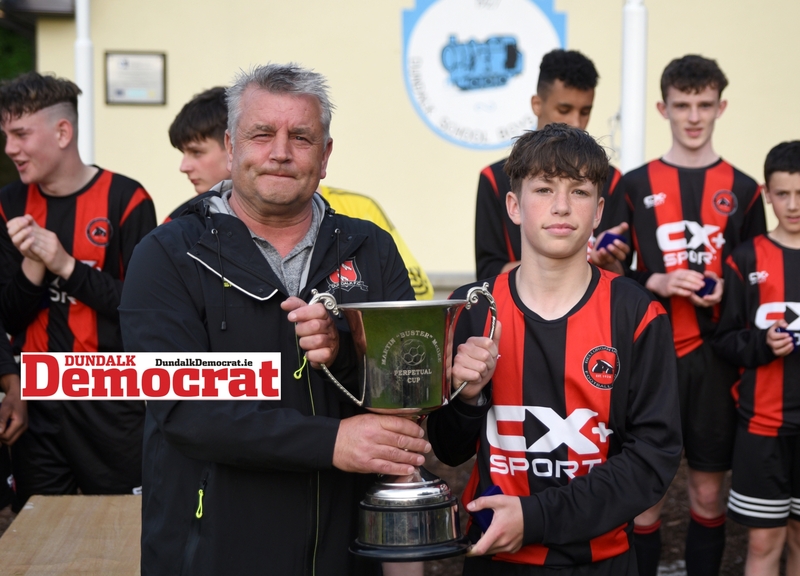 Bellurgan United U15s completed a league and cup double on Wednesday night after lifting the Martin (Buster) McGee Cup to follow their league title win two weeks ago. Bellurgan came into this game as favourites and they lived up to their expectations with a dominant first-half display. But Rock Celtic staged a comeback in the second half with a Louis McKeown goal and created chances to equalise but left it too late on the night. Bellurgan got quickly into the action and created the first real chance of the game in the eighth minute when captain Quinn Ryan saw his terrific effort bounce off the crossbar. A neat exchange minutes later between the skilful Ryan O’Kane and Calum O’Hanlon ended with a chance for O’Kane to break the deadlock on 18 minutes but he dragged his shot wide. 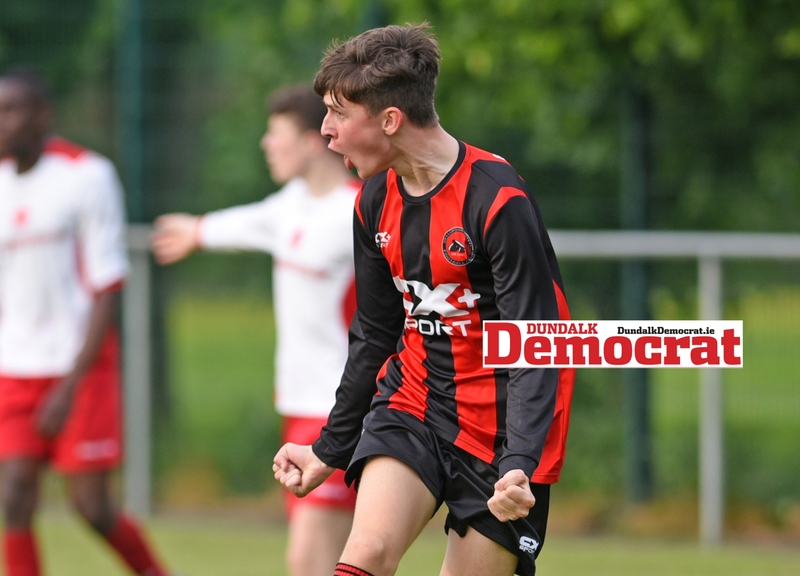 It came as no surprise that goal-machine Cian Murphy opened the scoring a few minutes later when O’Kane’s brilliant left-wing delivery planted the ball on the unmarked striker's head. And the Peninsula side needed just 45 seconds of the second half to double that lead. Again, it was another deep O’Kane delivery and this time Murphy arrived at the back post to volley home. Bellurgan almost added a third soon after when Ryan rolled a short corner to O’Kane who set-up Seán Murden, but he fired straight into the grateful hands of Jack Donohue. Rock finally got into the game after the let off and Moyo Adebanjo started the revival and was very unlucky to see his 35-yard shot crash off the 'bar. At this stage, Bellurgan were content to sit on their lead and almost paid the price as Rock produced two good chances in their best spell of the game. First, Emmanuel Adebagya sent over a cross destined for the incoming Mark Gallagher, but Bellurgan defender Calvin Akinyele intercepted with his head and then Gallagher’s corner-kick found the head of Tom Matthews, though the ball was somehow scrambled away to safety. Then, with the clock ticking down, the Seasiders cut the lead in half when McKeown forced home another good Gallagher cross. But that’s how it ended, 2-1 to Bellurgan, and, although Rock produced a stirring late comeback, the best team won on the night. Referee: Niall Minto. Assistants: Stephen Donnan and Peter Burns jnr.